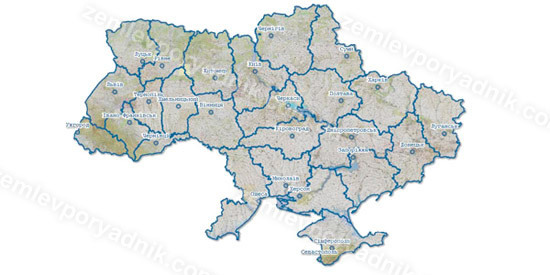 Starting from 2013, access to basic data of the State Land Cadastre in Ukraine was made public through the public cadastral map. Thus, in public cadastral map, you can find information about cadastral number of the land plot, its boundaries, area, ownership, designated purpose, etc. You can search a land plot by the cadastral number or by location of the land plot. In order to find the land plot by the cadastral number, you may enter 19-digit cadastral number in the form of search. Search form placed horizontally at the top of the web page. A colon between numbers is not required, since search engine puts colon automatically. For example, the cadastral number of the land plot looks like 3220882600:03:001:0122. It can be found on the back of the state act of ownership to land, above a plan of the land plot. 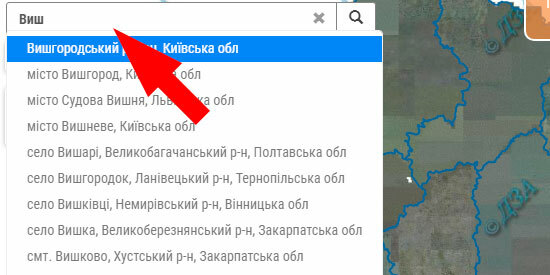 To find the land plot by location you may select the region, district and city (town, village) in the dropdown list on the left side of the web page area. 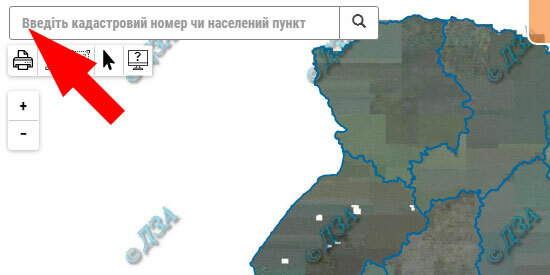 If you do not see your land plot, it means that it is not included in the state land cadastre. 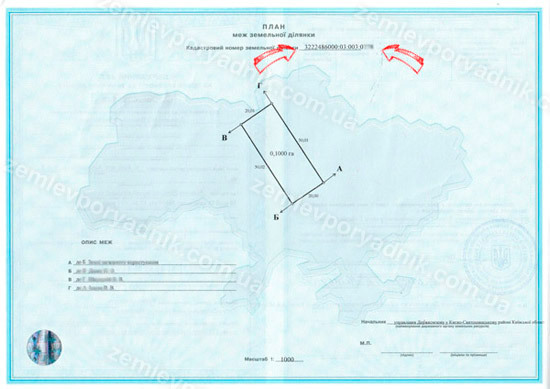 For further instructions, how to include your land plot in Ukrainian public cadastre, please, follow this link: technical documentation for the land plot boundaries in Ukraine.